Isibutu, Knebworth Park & Wintergreen Railway, 25 July 1976. Bagnall 4-4-0T 2820 / 1945 from the Tongaat sugar company, Natal, South Africa. 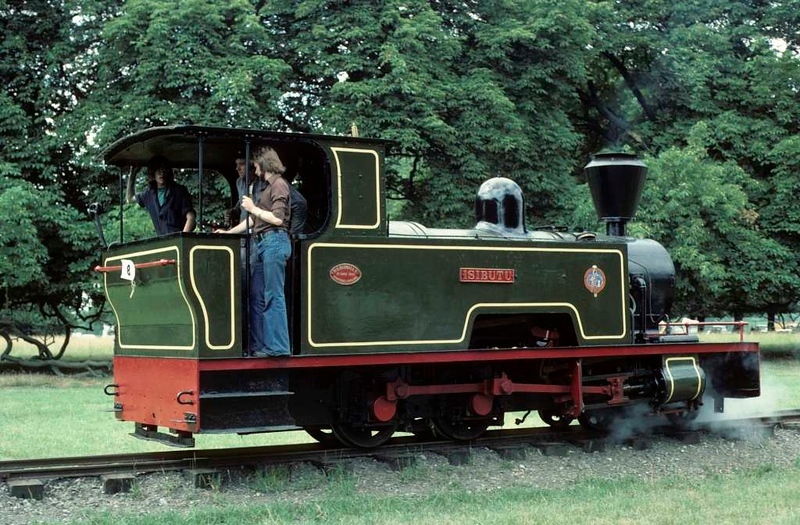 At the time of this photo the loco was owned by Pleasurerail. It subsequently moved to Statfold Barn, where it remains in 2018. Photo by Les Tindall.